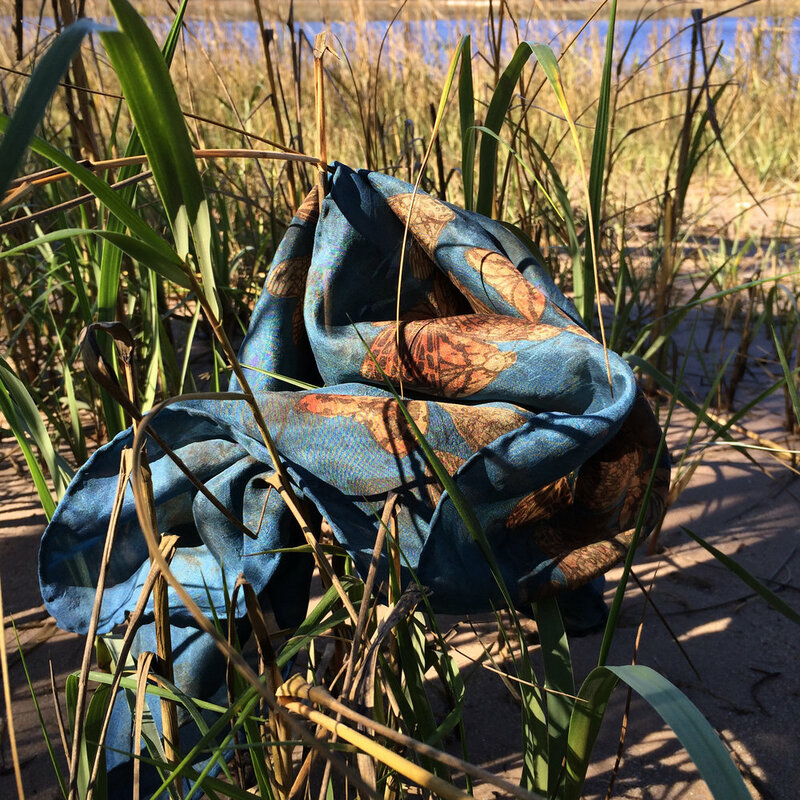 Sometimes the overlooked & disregarded play the most important roles. 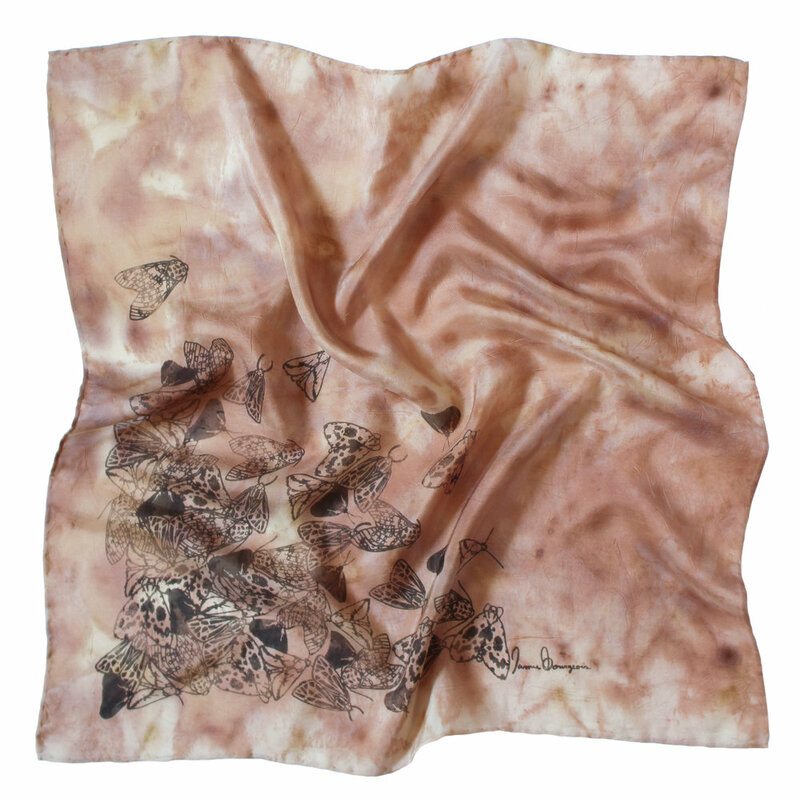 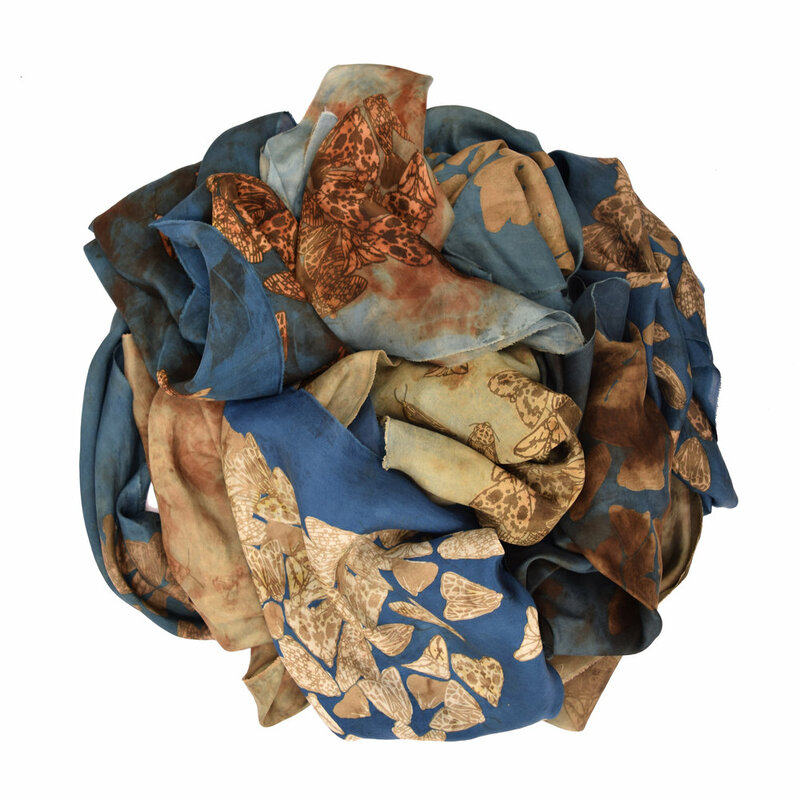 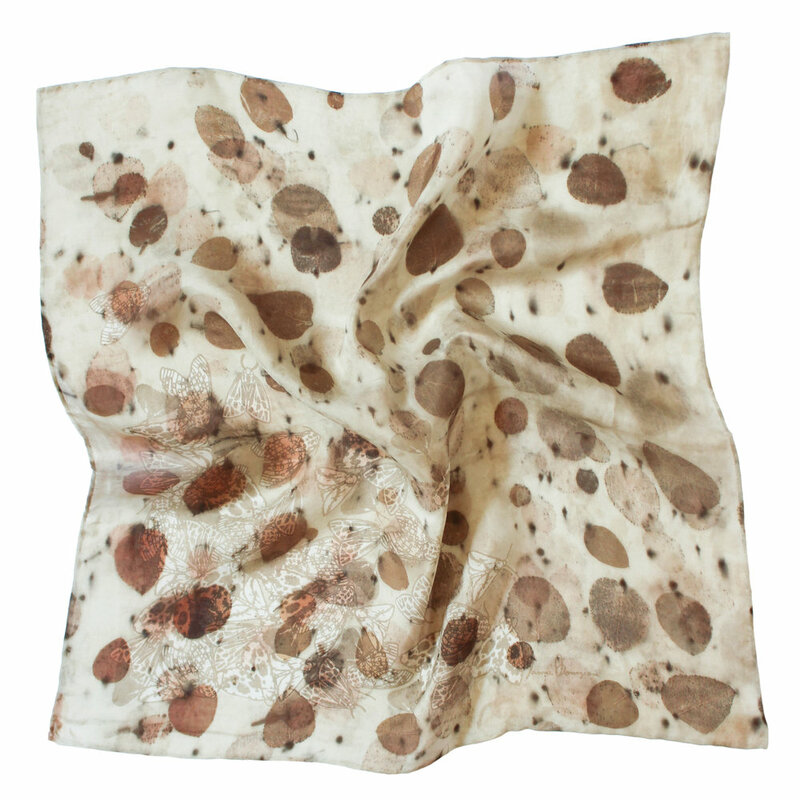 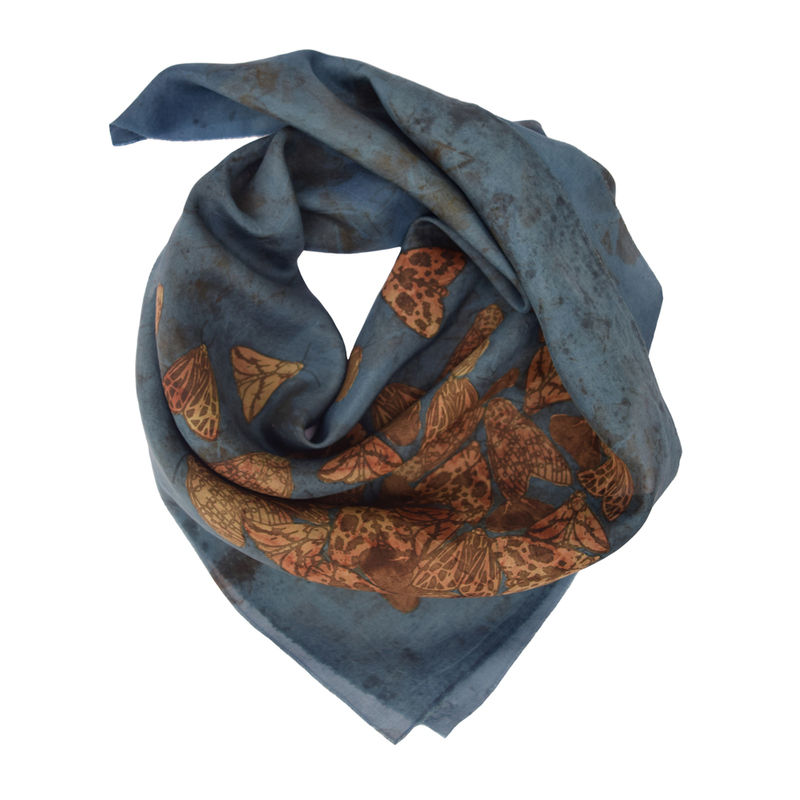 A collection of one-of-a-kind naturally dyed and hand screen printed silk scarves. 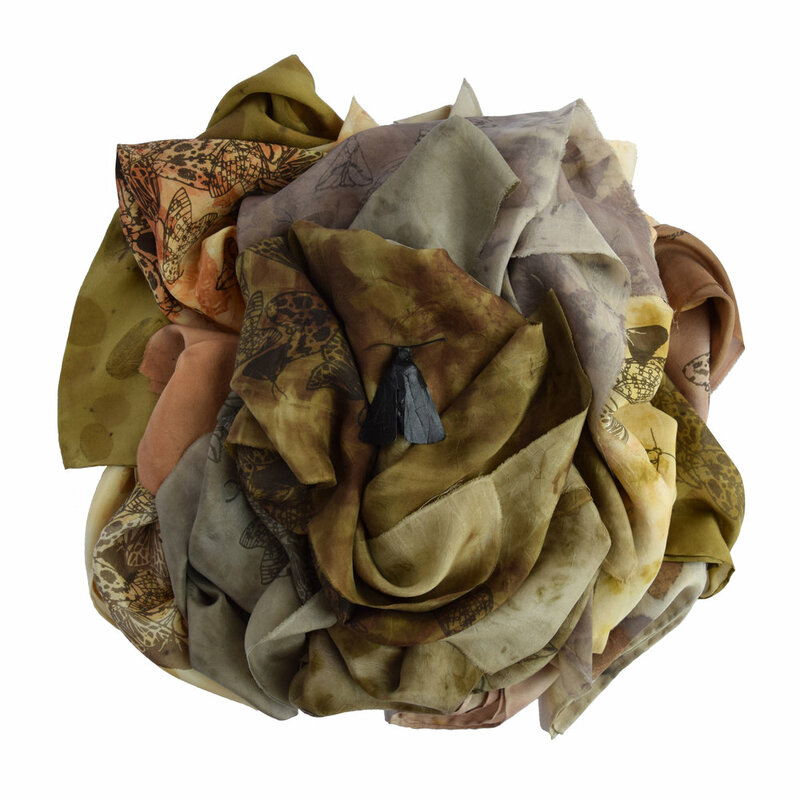 Locally sourced and harvested plants and food scraps were used to create all colors and textures. 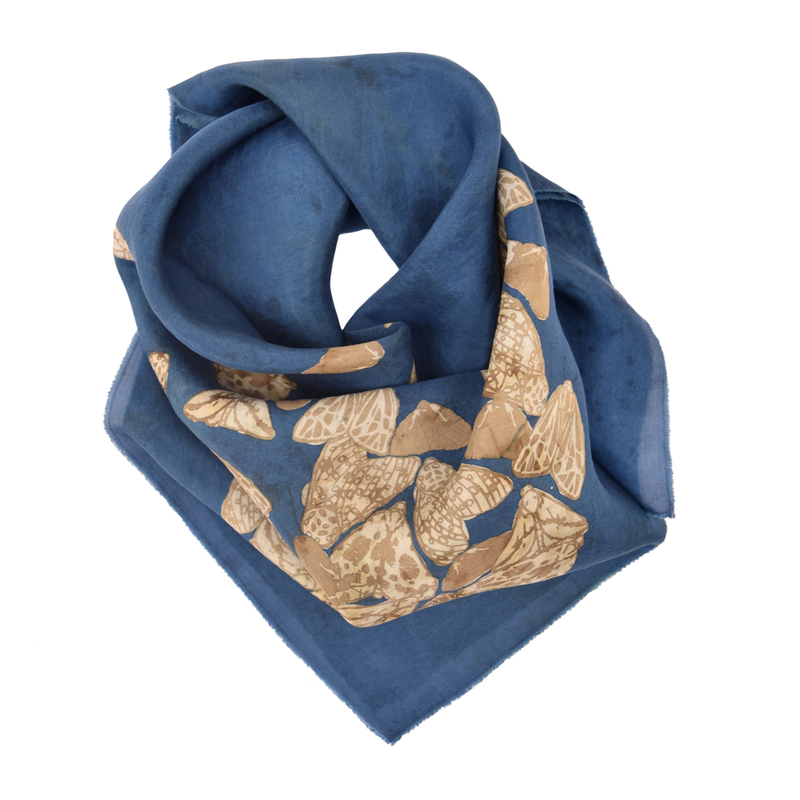 Blue shades were obtained from natural indigo reduced in an organic indigo vat.